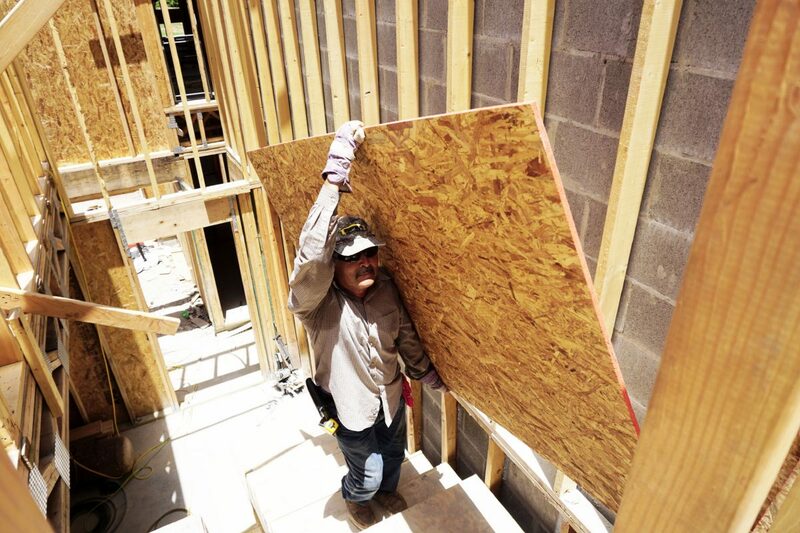 Miguel Roberts/The Brownsville Herald A construction worker moves plywood Thursday afternoon in Brownsville. The National Weather Service advised residents participating in outdoor activities to drink plenty of water, wear lightweight and light-colored clothing, and take frequent breaks. BROWNSVILLE — Residents should plan to keep their sunscreen and water bottles handy. The National Weather Service warned the public to take care yesterday as heat indexes rose above 100 degrees, as it is expected to continue doing through mid-week. 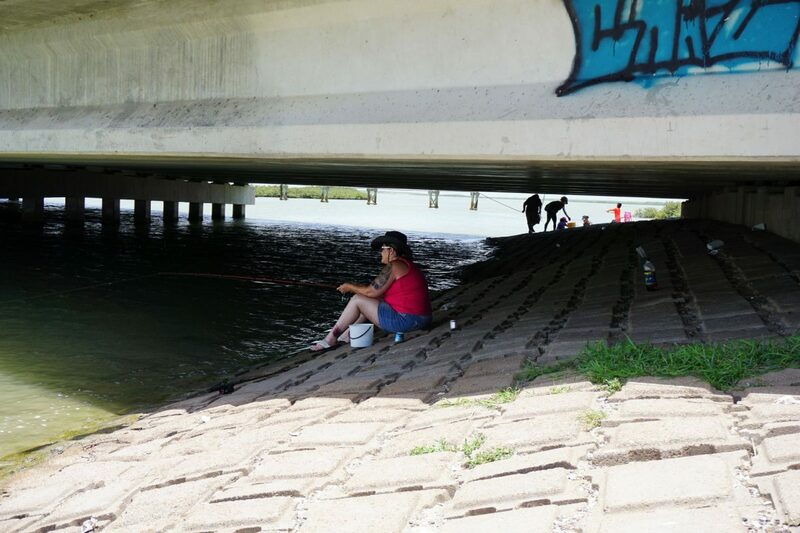 Miguel Roberts/The Brownsville Herald A woman finds a shady spot to fish Thursday near the Jaime J. Zapata Memorial Boat Ramp in Brownsville. The National Weather Service advised residents participating in outdoor activities to drink plenty of water, wear lightweight and light-colored clothing, and take frequent breaks from the heat. 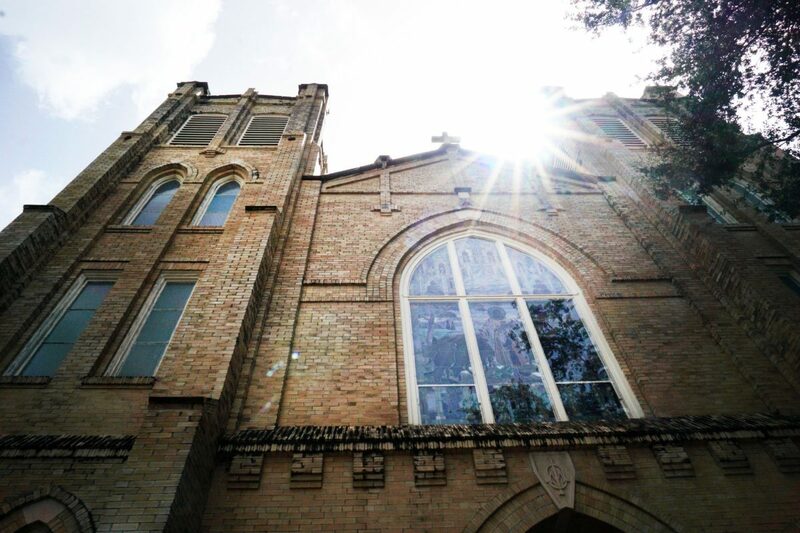 Miguel Roberts/The Brownsville Herald Sunlight shines over the bell towers Thursday at Sacred Heart Church in downtown Brownsville. 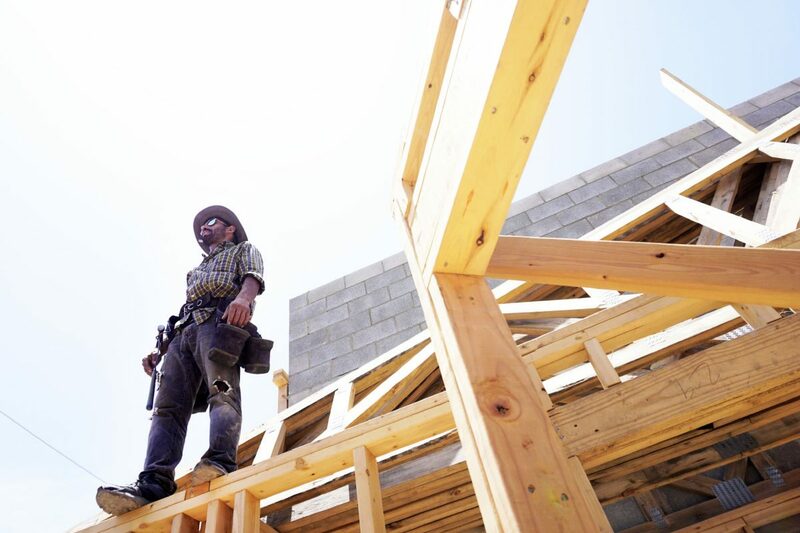 A construction worker stands under the sun during triple-degree heat in Brownsville Thursday early afternoon. Heat index temperatures in the Brownsville area are expected to get as high as 109 degrees through Tuesday with “feels like” temperatures exceeding 110 degrees in the afternoons. Castillo said the same is true for the Harlingen and McAllen areas, though Rio Grande City will likely be slightly cooler due to lower humidity. Residents should stay indoors during the afternoon and keep hydrated even in shady areas due to the risk of heatstroke, Castillo said. The National Weather Service also advised residents participating in outdoor activities to drink plenty of water, wear lightweight and light-colored clothing, and take frequent breaks from the heat. People should never leave children or pets in vehicles even with the windows rolled down, Castillo cautioned. The heat is caused by an upper level ridge of high pressure in the southwestern United States that extends to Texas and the Rio Grande Valley, Castillo said, and will stay put at least until next week. An upper level area of low pressure from the Gulf could bring some relief with more cloud coverage, Castillo added. It may bring a slight chance of rain next week as well, he said, but none is forecast at the moment. Afternoon winds brought the Thursday humidity down enough to keep the weather service from issuing a heat advisory, he added, which is done when the heat index reaches at least 111 degrees for more than one hour. Texas’ power grid manager reported record-breaking electricity demand Wednesday, ahead of the scorching forecast. The Electric Reliability Council of Texas, Inc. issued a statement that customers set an all-time demand record of 73,259 megawatts between 4-5 p.m. Thursday. Ryan Greenfeld, spokesman for the Brownsville Public Unities Board, said ERCOT has not called for customers to begin conserving electricity. If conservation is recommended, he said BPUB will notify the public via social media, its website and by issuing a press release to local media. Greenfeld said cooling makes up the majority of customers’ electricity bills. He recommended they get their air conditioning systems serviced or make a practice of changing their air conditioning filters once per month. Also, customers can make sure to set their thermostat temperatures warmer when not at home, he said, and those who want to invest in their system might look into programmable thermostats that allow residents to remotely control their air conditioner settings.